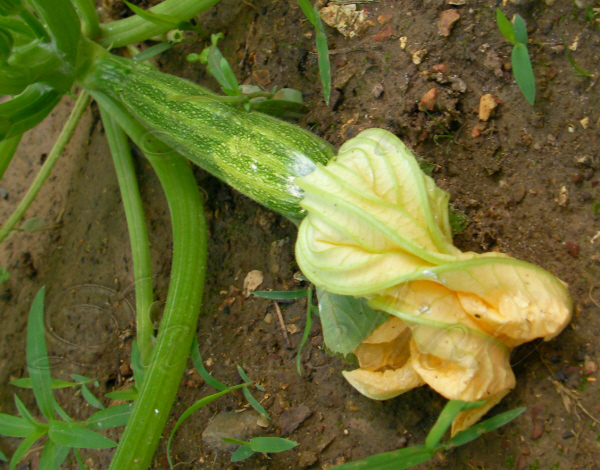 Here is our first Cocozelle Squash of the season. This one is very new with the bloom still attatched. We always plant these a little later. Cocozelle sell well at markets because they are attractive and something a little different.